1. Maphis, Joe Town Hall Boogie [unissued] uniss. 2. Smith, Carl Go, Boy, Go [alt. vers.] [unissued] uniss. 3. Bond, Johnny Sweet Temptation [unissued] uniss. 4. Smith, Carl Call Me Mr. Lost [alt. vers.] [unissued] uniss. 6. Pierce, Webb Love Love Love [alt. vers.] [unissued] uniss. 7. 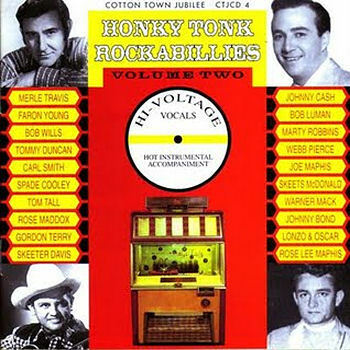 Pierce, Webb Honky Tonk Song [alt. vers.] [unissued] uniss. 10. Mack, Warner Baby I'm Lonesome For You [unissued] uniss. 11. Cash, Johnny I Walk The Line [alt. vers.] [unissued] uniss. 12. Smith, Carl Back Up Buddy [alt. vers.] [unissued] uniss. 13. Self, Ronnie Bop-A-Lena [alt. vers. 1] [unissued] uniss. 14. Young, Faron Married [unissued] uniss. 16. Robbins, Marty Pretty Words [unissued] uniss. 17. Smith, Carl Hey Joe [alt. vers.] [unissued] uniss. 20. Bond, Johnny Oklahoma Hills [unissued] uniss. 21. McDonald, Skeets Jambalaya [unissued] uniss. 22. Maddox, Rose Down Down Down [unissued] uniss. 23. Tall, Tom This Old Heart [unissued] uniss. 25. Cash, Johnny Big River [alt. vers.] [unissued] uniss. 26. Luman, Bob The File [unissued] uniss. 27. Maphis, Joe My Curly Headed Baby [unissued] uniss. 30. Wills, Bob Stay All Night [unissued] uniss. 31. Robbins, Marty Maybelline [alt. vers.] [unissued] uniss.